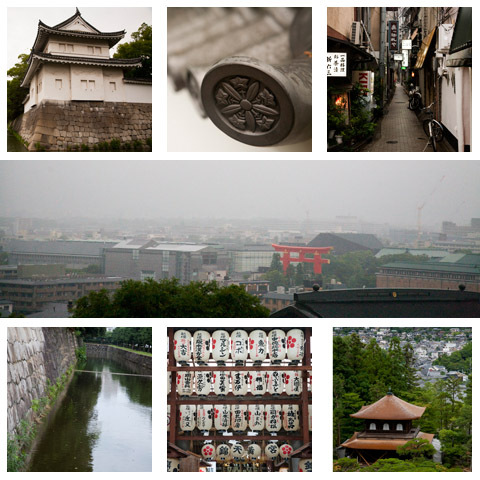 Many folks love Kyoto and consider it the highlight of any trip to Japan. With 17 Unesco World Heritage sites, 1600 Buddhist temples and over 400 Shinto shrines, Kyoto is rife with ancient culture and Japanese history. And beyond historical sites lies the Japan of movies and books….zen gardens, red lanterns, and geishas….Thus, it is no surprise that Kyoto is considered Japan’s cultural capital. That said, unless you really want to spend weeks touring temples, one can get a real flavor of this sprawling city in 2 days. Here are our recommendation for 48 hours in Kyoto. You can always fly to Osaka and then take a train, but we chose to take the Shinkansen from Tokyo. The Shinkansen is the famous high-speed bullet train and will get you to Kyoto in about 2 hours and 20 minutes. Just like everything else in Japan, somehow they have improved upon the existing train travel model….managing to make rail travel efficient, clean and even kind of fun at 300 km/hr (186 mph). To be honest we really wanted to stay in a ryokan, but even booking 6 weeks in advance seemed to be not enough time ahead as they were all fully occupied. Instead we stayed at the Westin Miyako Kyoto. While perhaps a tiny bit outdated, the rooms are comfortable, tastefully appointed and generously sized with lovely balconies overlooking Kyoto…one cannot underestimate what a real luxury it is to have space in Japan. We also enjoyed having access to a gym, but probably the hotel’s biggest asset is its location in Higashiyama….within walking distance to many of the most important sites. Further the hotel makes life easy for foreigners with English and other languages being spoken. We took our breakfasts at the hotel – partly for ease and convenience and partly just because I have never gotten used to Asian breakfasts of predominately fish and greens. Probably our favorite meal in Kyoto was at Hinode Udon. And don’t miss Grotto’s 9-course culinary tour of Japan tasting menu for dinner. After a day of shopping downtown, stop off at Brasserie Café Onze, in an alley between Kawaramachi Street and the river (headed south). This is a super charming little French style café where you can have local or imported ales and French wines paired with rustic and hearty snacks like Serrano ham, pate, cheese plates, frites and more. 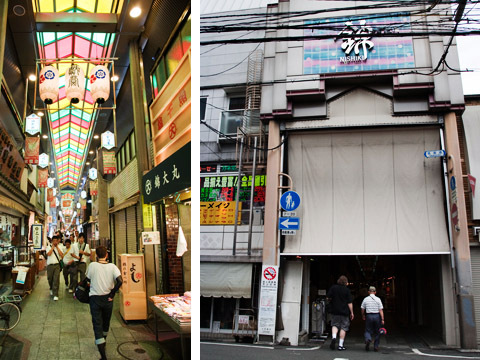 Also, if you are shopping downtown at the markets (see below), try lunch at one of the many restaurants inside the famous Nishiki food market. On your temple tour, stop off at Café Whoje for a coffee and dainty slice of the ethereally light Japanese cheesecake. Or if you are at the Ginkakuji temple, don’t miss the choux creams at Gen Mai. We love choux cream – these Japanese cream puffs are little bites of heaven. My favorite shop in the market for lovely gifts is a tiny shop called Pulau Deco. This little gem of a shop features artictics goods from local textile and ceramic artisans. Many of my Christmas presents this year are from Pulau Deco. Lots of folks love to visit Aritsugu, a shop started 400 years ago by a famous swordmaker and world famous for its super sharp knives used by many a sushi chef. You can see the artisans shaping and polishing the knives right in the store. They also carry all kinds of pans and cooking implements….no doubt if you like to cook, you will be tempted to take something home. Also don’t miss the adjoining Teramachi Street market for quirky tshirts, fashion clothing, shoes, sunglasses, Hello Kitty gear and such. Also if you like department store shopping, Kyoto’s large assortment of stores are great for modern clothing, Japanese skin care brands, gift items, kitchen wares, and well…the usual department store assortments. Try Isetan in Kyoto station for a more trendy, fashion focus. Or try Daimaru on Shijo Dri for its sheer size and the expansiveness of offerings (from clothing to electronics to food) ….it is Kyoto’s largest department store. There is also Hankyu on the south-east corner of Shijo Kawaramachi….here you will find 7 floors of fashion, food and housewares. Our favourite is Takashimaya, which is one of Japan’s oldest and most respected retail stores – here you can find lots of wonderful gift items as they have a nice selection of traditional crafts including textiles and ceramics. We particularly like the housewares department and couldn’t resist leaving without a Global chef’s knife. Note: Ladies if you wear a clothing size larger than an American size 6 or 8, don’t even bother clothing shopping…you simply won’t find your size. The same is also true if you wear a woman’s shoe size larger than 8M. Well, this list could be endless given that there are over 3000 historical sites in Kyoto. There are truly helpful temple maps available in every hotel – they map out every major temple and the metro / bus system is easy to navigate. So rather than detail all your options, we thought we would highlight our top favorites from our trip, both Unesco World Heritage Sites. 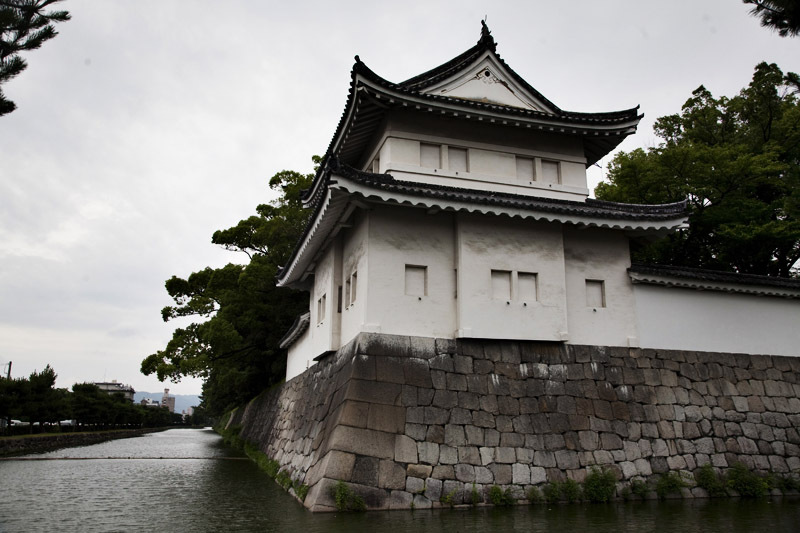 Nijo –jo, known as the “Ninja House” was completed in 1603. It was originally built as a merchant’s home but later was used as an inn for feudal lords visiting Kyoto. Famous for hidden staircases and counter-espionage devices and trap doors for samurai’s to ambush intruders, it is a Kyoto must see. To read more check out the wikipedia listing. Ginkaku-ji is also known as the Silver Pavillion and is one of the top sites by all regards in Kyoto. Built it 1842, it is a zen temple intended to be a tranquil retreat for Shogun Ashikaga Yoshimasa. With a temple perced on a placid lake and mossy trails it is a truly calming place. Because of its popularity, this temple can get really packed with visitors….do like we did, and get up early to go as soon as the doors open. More than likely you will be rewarded with near solitary enjoyment of the temple. Read the wikipedia article to learn more about this special place. There really are unlimited opportunities to explore Japanese culture in Kyoto. If you have even more time check out a cooking class, a flower arranging class or see kabuki performances or geisha dances (if visiting in spring or fall seasons). Being a true city person, I must admit I prefer the energy and general wackiness of Tokyo, but some people say that Kyoto is the Paris of Asia…a true cultural capital. Perhaps it is so…to visit Kyoto is to be inspired by the traditions and folklore of Japanese culture.